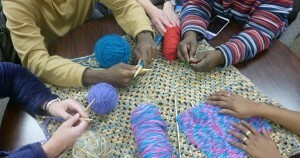 Have you always wanted to learn to knit or crochet? Cast On! Knit and Crochet Time will introduce you to knitting and crocheting. These are fun activities to do with your hands while you listen to TV shows or audio books, and you’ll make scarves, slippers and other items that you can enjoy or give to friends and loved ones as gifts. use these new skills to do a simple project, such as a scarf or potholder. No experience is necessary to participate in this class. You will need to bring your own supplies. Contact Polly Abbott at Second Sense to register and get a recommended supply list.